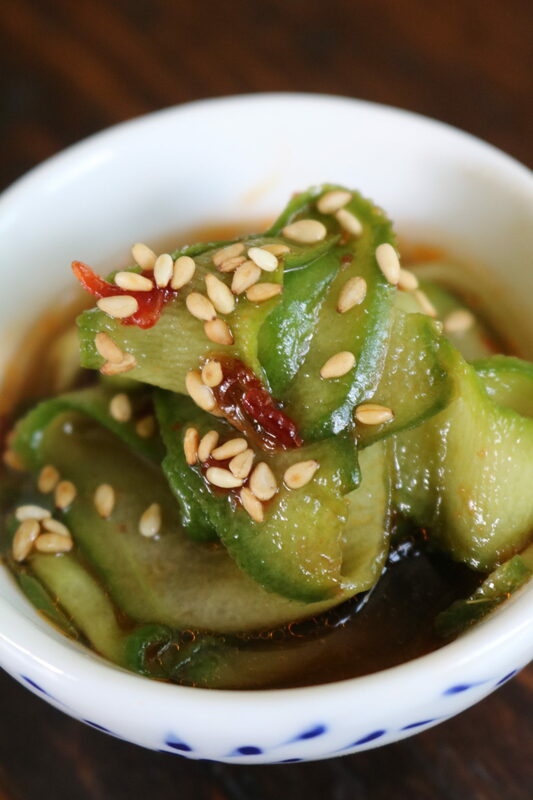 Everyone has one girlfriend who is so sweet but throws a lot of sass, and you love her for it… Well, she’s comparable to our Sweet and Spicy Chili Cucumbers. Every bite has a little something, something. Whip ’em up for your #MemorialDay BBQ… and just like that girlfriend, they’ll be unforgettable! Add Chili sauce, lime juice, soy sauce, sugar, sesame oil, and rice wine vinegar to a medium sized mixing bowl and whisk until combined. Using a peeling slice your cucumber into thin ribbons. Toss is sauce and refrigerate for 15 minutes prior to serving. Garnish with roasted sesame seeds. Enjoy!